You have been and will always be our hero. You have dedicated your life to death for the benefit of the people of Ethiopia. We always remember you and you have left us a great emblem, the dam. Rest In Peace … you did not deserve to die like this. I fear for what is to come … God protect Ethiopia. very sad…..very sad sad sad……. What a sad day for Ethiopia. I was shocked and saddened by the passing of the beloved Ethiopian engineer. The government must do what ever is in its power to bring the murderer or murderers to justice. My gut feeling is the murderer must be a hired gun possibly by Egypt. Who else has the intelligence to know that he is on Addis. Sad day and the government should also announce a National Mourning Day for this hero of ours. We have lost the two most important persons(Meles and Semegnew) for Ethiopian renaissance, it is price we have to pay to reach our goal.The assassination of our hero in fact will invigorate our moral and determination till completion. Please accept my condolences on the passing of The Ethiopian Hero The Late Enigineer Simengew Bekele. He was the pride of Ethiopia in Milleniums. The Man who stood up tall to the challenges of the biggest hydroelectric dam in Ethiopian history and the 9 (10th?) largest dam in the World and said “ Yes I Can “ It was an honor to have such a rare Ethiopian hero and such a an extraordinary person and I/ genuine Ethiopians will miss him. I wish you comfort during this difficult time. No stone must be left unturned till the perpetrator (s) are caught and executed. I just can not believe the speculation that Egypt or “Shaebia”= Eritrean regime assassinated The late Enigineer Simengew. It is too early to speculate but I have a feeling in my guts and call it a hunch that the perpetrators are from within Ethiopia and namely influential group of individuals from the Ethiopian government, the secret Service and METEC. There are extremely influential individuals in the highest echelon of the Ethiopian government who work in tandem with the secret service that have brutally and savagely assassinated the late Engineer Simengew. There are none Investigative journalists in Ethiopia and I don’t think even there are any in the tightly controlled Ethiopian secret service independent individuals at all: Zero. Therefore, no matter how pessimistic i might sound there is no way unfortunately the perpetrators will ever be caught and executed. Governments come and go and though i don’t believe in miracles, maybe, just maybe with a changing time some day the facts will be told to the Ethiopian people. The new unelected PM must resign immediately. He has bombed his own supports and kept quiet hiding it. He is going to kill more people. He will resign, but he must removed. Abiy can not resign. He is a blood sucker. Since he has come illegally to be a PM? He is sucking our blood and selling our country. Is this not enough? Africa? why keeping this man after bombing his own fans? OMG, it means there are no man in Ethiopia? It is not the Army, the police, it is the illegal PM who destroying the country on daily basis. I can not understand. The police commissioner must resign because he covering up all the time. He does not sound a good man. This is planned and BBC is involved in the plot. Why BBC do not go to his place, why he has to travel to them? This is a direct attack on GERD and Ethiopia. I call this invasion of Ethiopia. Pointing fingers wouldn’t have been the right time. but worse you shouldn’t try to point away from the most likely suspects. There is only one suspect in the minds of Ethiopians. The TPLF mafias running EEPCo. / METEC, those who embezzled the GERD finance collected from all Ethiopians (including those who can’t afford a descent meal a day). Our Hero Engineer Simegnew Bekele was going to expose those thieves. They silenced him in such a signature Mafia style. But they CANNOT silence 100 Million Ethiopians. They should and will pay for their crimes. Constructive comment! God bless U!!! Dear true Ethiopian patriot, Semegnew may you rest in peace in the caring of the Almighty God! Right now, there is an urgent need for soul searching in Ethiopia. The Motherland has lost one of her best sons. what a great lost ?most respected and hard working Ethiopian ,i hope ur dear will not die ,R.I.P.may god bless your soul. You have been a hero and a role model for the Ethiopian youth. You will always be remembered for your visionary leadership and you will have a special place in the hearts of every citizen of Ethiopia. Rest In Peace, my wife and I are shocked and surprise by his sudden death. Hopefully there is no one behind his death. My wife can’t stop crying. A great man of the this generation has been shot dead on a day light on the main street of Addis Ababa, what a tragedy, the government should provide us with why,how and by whom he was gun downed in his own country and bring this killers Foreigners or Domestic to justice . Ethiopia is dead today it is a manifesting a rise of ethnic and religious nationalism . The appointment of Dr Abey vividly shows the direction. RIP OUR HERO Ethiopian. Rest in Peace, My family and I are shocked and saddened to hear the untimely death of the Honorable Eng. Simegnew Bekele. He is being MURDERED!! in a broad day light. The government should take responsibility for not protecting such a person and the immature prime minister should have halted his US vacation and deal with this situation. He has gone to foreign countries to bring back terrorists to our country but he is going away while a most respected Eng is being murdered. If tears from your people could wash Death, you would have been back by now. Well it is not so, what you could do is pray from where you are! There is a saying to the like of, no one truely passes away until they and their work are forgotten, to which i agree. There is no better way to honor Engineer Semegnew than to continue aggressively to building Gerd. May God be with Engineer Semegnew and his family. Please accept my heart felt and sincerest condolence on the untimely and barbaric assassination of the selfless and true hero of Ethiopia. He’ll be missed greatly by the Ethiopian people. He’ll be remembered for his noble contribution to his people for centuries to come. This is a big loss to the country. May the Almighty God gives you strength during this dark and sad day. May God rests his soul in peace!!! Its heartbreaking and hurtful news. He paid his life ….. for the nation. Whoever the killer H E Simegnew Bekele is sloughtered as a sacrifices sheep. Great lose and very sad day for Ethiopia and friends of the Ethiopian people. Personally, I am mad, sad, frustrated and angry. Engineer Simegnew was a national hero of Ethiopia. Not only was he the lead engineer and project manager of GERD, but he had also the same role and leadership for the successful completion of Gibe III Hydroelectric plant. The untimely death of Engineer Simegnew surrounding his hit and run assassination must be thoroughly investigated by crooked police in a clear and transparent way and be public to the Ethiopian people. Why is the current Addis Abeba police and its crime investigating security apparatus NOT being to the public? For example, whatever happened to the individuals who killed 2 innocent citizens during the support rally of the PM on Meskel Square? What is really going on? The Ethiopian people deserve to know who the exact culprits is/are behind the bombing at Mekel Square the sad broad-day light assassination of Engineer Simegnew Bekele. My condolences to his family, friends, co-workers and the brave workers at the GERD in Benshangul Gumuz who are tirelessly working to complete the Ethiopian flag project, GERD day and night. Rest in Peace Engineer Simegnew. 3. Ordinary mercenary citizens hired to kill for the sake of money. Your condolence is appreciated, but why you trying to point away from the obvious suspect is foolish. There is only one suspect in the minds of Ethiopians and that is TPLF, to cover their embezzlement of GERD via METEC. But let’s behave civil and be patient for the judiciary process to take its course. Dear, does it have payoff to you. Time will tell you who the actor is. Nevertheless, the dam will not stop for a second. This tragedy event will fuel to complete the dam soon. It is so. Engineer Simegnew is hero of all Ethiopians. He will be remembered forever. However, we have to think what we have to do to defend our mother land from those Arab countries, Shabiya and other enemies cooperating with the current government in Ethiopia. This is direct attack against our country and our people. I’m so saddened desperately by the shocking news! We the people of Ethiopia should have to stand together on this critical time that our geological enemy are doing everything to leave us in poverty. May God rest him in peace! As my tears are flowing and my heart broken, for this was a man who practiced Ethipiwenet. He lived Ethiopiwenet. I always appreciate Ethiopians who practice Ethiopianenet. We have come sad history when Ethiopianenet preaching is killing people who practice Ethiopianenet through action. We have come to a sad chapter of our history where Ethipiwenet preachers are working with traditional enemies of Ethiopia to destroy Ethiopians who practice Ethiopianenet. Dear Engineer thank you for your service to Ethiopia. It is with very heavy heart and deep sorrow that I write my condolence to his family, friends and the people of Ethiopia, on the untimely passing of our brother engineer Semegew by the hands of coward traitors whose only goal is to arrest development and keep the Ethiopian people chained to poverty. It is a tragedy of huge proportion to lose a man of his caliber for his family, friends and the country as whole. Engineer Semegew was young and vibrant he could have contributed for his country and Africa as whole by teaching young engineers and sharing his experience in building dams. He was one of the prominent engineers in the construction of the GERD the largest dam in Africa. The pain of his loss is agonizing and perplexing to the people of Ethiopia and Africa as a whole. May this gentle giant with exceptional qualities rest in peace and my his family and friends get solace knowing that he is a hero, has charted his name in our history books and erected a monument for himself with his amazing devotion and brilliant work in the GERD for eternity. First to the families of Engineer Simegnew Bekele! It is they, above all of us, who have lost a husband, a father, a brother, a family memeber! It is a loss no amount of word can adequately express! May the Lord be with you and comfort you! It is a big loss to all Ethiopians who love the Ethiopian nation above the maddening parochial and tribal enclaves! Engineer Simegnew sacrificed a lot to see this dam, a natioanl icon, built. Ultimately, he paid with his own life. You will always be in our heart, our Brother Engineer Simegnew Bekele!.We will realize your vision of completing the GERD.Your legacy will live on for generations to come. RIP brother! We could afford hundreds of red hut special force to protect an evil neighbour but we can’t afford a single private gard for our special son…ashamed to be Ethiopiano, we are losers and incapable as a country. Disgusted! When I heard the death of engineer Smegnew, I was very sad and morally hearted. You are always in the heart and mind of peace loving Ethiopians. Your name and work will be in the anals of history. We will follow your foot print and Abay dam will be finished. Deep condolence, and Rest In Peace. Our hero Engineer Semeneh Bekele. The cold blooded murder of a consummate Ethiopian patriot with impeccable character and love of people affirms the state of the country is hinged at the cliff. How come the Engineer who is running the most sensitive project in the country did not have a team of security guards? Who failed to pay attention the existence of regional forces who are sworn to stop the dam using every means? the Engineer’s unadulterated love to his people and patriotic zeal to the country made him their prime target. Since the new Prime Minister (PM) came to power, he has been busy traveling, making prophet like remarks and saying trivial adages, axioms that are unfit to a head of state. His infantile, ghost like feral, contradictory and unthoughtful dogma like expressions have the proclivity to hasten chaos and peeve the existence of the country. Preaching LOVE and BODMAS cannot substitute for crafting time fitting policies to stabilize and secure the National Security of the country. Freeing every wrong doer to appease specific forces cannot supplant disseminating the laws, provisions and the acceptable norms of the nation. If the PM does not want to fail into the enemy’s trap, he better refrain from the excessive affections and affinities he show to crude authoritarian who repeatedly proved through his actions and unambiguous statements. In summation the political behaviors the PM has exhibited so far have made the country prone to the known wishes of Sisi and his middle man Isaias. It, therefore, imperative the PM to come to his sense by summoning every able mind around so that to overcome the influences of regional foes exert. The starting point to do that include ceasing unverifiable claims, making questionable adages, desist the temptation to feign something he is not. He should stop being obsequious, “I know it all” attitudes, and serenade the brute, as none of them is the trait of a capable leaders, such as the unsullied selfless national hero Engineer Simegnew Bekele. It is so scary to witness what has been going on in the country ever since the new prime minister assumed the highest post. He has got hitched to the same internal and external enemies of Ethiopian development. What is most painful is the extent he has managed to garner support from the younger generation to undo what has been accomplished in the last twenty-five years! The cold blooded murder of our HERO, may be the work of the historic and arch enemy of Ethiopia – Egypt who is now embolden to act upon what it always wanted to accomplish, trying to stop the construction of the GERD using locally hired thugs! Your comment doesn’t make sense. TPLF made a lot of mistakes but when it comes to GERD TPLF was leading the project and they will not sabotage their own project. .Second Engineer Simegnew gave a short interview to BBC Amharic a day before he died that he didn’t agree with Dr. Aby statement that has been said in teachers meeting regarding the GERD. 3.His driver and body guard was fired by the government a week ago and such an important figure was by himself why?? 4.The camera on Meskel square was removed two days before he died??? 5. Did you see the expression of the police commissioner when he was giving briefing about his death, he was cold and smiling??? 6.According to sources he was forced by the authority to fire some of his employees??? 7. With the PM instruction engineer has been called to Addis Ababa and yet he had no protection with him??? 7.It has been said the FIB will tell us the incident of the bomb of supporting Abey demonstration . Where is that gone then??? So instead of saying TPLF for everything what happened give your opininon based on facts not your cheap propaganda and hatred. TPLF should be judged on the exact and factual wrongs they did, but this doesn’t make sense my friend. Wherther Simegnew alive or dead if there is a secret it will be exposed. And Melese Zenawi is the main person who worked tirelessly for this dam to build which happens to be a TPLF so saying they did it doesn’t make sense. I believe this is the work of CIA, Egypt and the present government and the arabs. Are you an insider or just a TPLF troll ??? 1. Why do you lie about Engineer Simegnew disagreeing with the PM? Did you listen to the interview? 2. How did you know the PM has called Engineer Simegnew to Addis? 4. How did you know he was forced to fire employees? 5. How did you know cameras were removed? 6. How did you know about the firing of driver and body guards? All your points don’t make sense and I know they are lies circulating in TPLF blind supporters facebooks. TPLF after Meles is not the same at all. We all know it but don’t want to admit. They all turned into thieves and mafia style criminals after his death. I have no proof but also I have no doubt in my mind this is the work of TPLF. We are trying to hang on TPLF as Eritreans did with EPLF / PFDJ. We live in denial defending the tyrants. He must resign bro. You are in deep sleep. He is not a legal PM. He is a put up by Egypt. He is the one who bombed his own fans. You are just clueless. What sad story for Ethiopia,where the country is heading? Ethiopia lost a great selfless person, I am shocked and saddened, the perpetrator/s must brought to justice immediately.. This is another saddest day for all Ethiopians. Eng. Simegnew Bekel died but it is not die the vision of all Ethiopian. I can’t believe this has happened to such a dedicated Ethiopian. I’m shocked by such tragedy. It is very clear who was behind such an atrocity; those who were making money on behalf of the GND, and he was the only one who knows the truth and they decided to eliminate him before the truth comes out. They fullish and are still think prematurely. They’ve have been watched when they’re doing this massacre because of the technology in the 21st century. You know, Derge killed innocent people and announced that he did it, the TPLF junta killed innocent and dedicated Ethiopian and tried to full us by pretending as a genuine investigator. That is what exactly witnessing, that is why TPLF media is trying to full us. Somebody already told you,we will stop the Dam by any means now they have access are you free to see the truth or not somebody also said medemer has mekenes you extend the finishing time by subtracting the key players does it make sense of course not you Only want to hear one thing I could tell you what that means for his family he is already gone R I P .
I’m deeply shocked and saddened by your death! May God bless your soul. You’ll be missed by all Ethiopians. We will complete your mission with proud and to your honor. May God bless your soul. Engineer Simegnew Bekele , you will be a great example for generations to come.Thank you for your sacrifice . Engineer Simegnew Bekele a true heroic intellectual son of Ethiopia who embodied the hopes and dreams of fruition of the Renaissance Dam is going to be missed by millions of Ethiopians like me who looked up to him for the wellbeing and construction of the Dam. No doubt that this action is committed by the enemies of Ethiopia, the government should leave no unturned stone to bring the criminals to justice.RIP my hero! God Bless Ethiopia and its people and Death to the arch enemies of Ethiopia!!!! Sad to see you go at this critical stage….you did your part as a citizen and left behind a standing memory for generations to come…May the Good Lord bless your soul…..
R.I.P. Our Hero Engineer Simegnew Bekele. Let’s pray for his family and all Ethiopian people who today lost a precious child. Simegnew will live always and forever in our hearts and in the History of our country. His work for his country will inspire generations to come. There is no doubt in the minds of many Ethiopians as to who did this, but we need to be wise and patient to let the legal system to take its course. He was suppose to give a press conference today in relation to embezzlement and corruption in relation to GERD and METEC. I have no words how sad it is. God may RIP your soul . A very sad moment for all of us in the untimely, sudden death of a hero. My condolence..
A mastermind man! Rip proudly you put Ethiopia steps ahead already!! A sad day for the country. The Engineer was a dedicated servant of his country cut short too young. Condolences to his family, friends , co-workers and the Ethiopian People. If he was assassinated, it is a cowardly selfish act. May the perpetrators rot in hell. Engineer Simegn is an Ethiopian and in general African hero. He fought the right battle against the only enemy POVERTY. He will be remembered by coming generations as a hero who fought the fight that matters most to people , the fight against POVERTY! Ethiopia lost one of its best children, Engineer Semegnew Bekele. I am saddened by his untimely death. My condolences to his family, friends and Ethiopians at large. Dear Eng. Simegnew Bekel may you rest in peace in the caring of the Almighty God! When I visited the Great Renaissance Dam about 4 years ago , your down to earth personality will remain in my memory. Your vision and motivational speech was greatly appreciated,You’ll be missed by all Ethiopians and thank you for your sacrifice. I am extremely saddened and very much upset on reading about the untimely death of the great Ethiopian Engineer Simegnew Bekele. I truly admired his great dedication to his work and also his humility. By any measurement, Engineer Simegnew Bekele towers above over all professionals that ever served Ethiopia. I remember one time someone mentioned to me he was from the Southern part of Ethiopia, but I did not believe that because of his impeccable Gondore Amharic, and I started some digging to find out his ethnic origin. I stopped soon after my research, for I realized that ethnicity does not matter because in my heart he was just a truly great patriotic Ethiopian dedicated to serve us all. We truly lost a Great Ethiopian and a great Engineer today. Rest in Peace Hero of Ethiopia. With humility and sorrow, Tecola Hagos. Ethiopia had lost a towering figure and implementer of a farfetched idea! Few people conceive big ideas but very few are capable of translating it into impactful action, Eng. Semegnew Bekele is among those very few in the later! He knows the challenges and risk of taking responsibility of this magnitude. But, he was audacious, relentless, selfless..and became martyr to benefit his fellow citizens and generations to come! For me, Eng. Semegnew and GERD are synonyms, and I felt GERD is orphaned today. I am sure patriotic Ethiopians are inspired to fulfill the dream of Eng Semegnew, by adopting GERD and bringing it to completion! It is sad his life was cut short but he will be remembered as a hero in Ethiopian history. Let God RIP his soul and give his family and fellow Ethiopians the courage and strength to bear this tragedy. I pray Almighty God to give enough strength to his family members and to Ethiopians to overcome this situation. May his soul rest in peace. I am very saddened in the death of Ethiopian Jewel who had tirelessly worked on the great renaissance dam of Ethiopia. We should all that it takes to find those who committed this heinous crime. Rest in peace Engineer Semegnew. You have been and will always be our hero you have dedicated your life to death for the benefit of Ethopia . Rest In Peace and our deepest condolence to his family. This is a very sad day for Ethiopia and Ethiopians. I got no words to explain how sad I’m at this moment. May your soul rest in peace, our hero. You’ll always be loved and missed by millions of Ethiopians. Why? What a sad day? My condolence to his beloved family and we all. A sad day for Ethiopia and Ethiopians. he was really an icon for Ethiopia. it is really sad, hard to know where we are for going? God save Ethiopia. R.I.P to our icon, my sincere condolences to the family of the dear engineer and peace loving Ethiopians. May your soul rest in peace, great man! You are a great loss to the country and your family. Today is a very sad day for all of us that have appreciated and loved the work of Engineer Semegnew! We have indeed lost an exemplary leader. His actions with out fail have been congruent with his words. He had the energy of a can do spirit and he stood by his words updating all of us of the great work being done by our very own Engineers with him at the helm. My condolences to all of us Ethiopians that truly loved his passionate commitment to do his part in the area of his expertise. He is indeed our hero that had promised us that he will not shave his beard until the GERD was completed. What a loss! The government must bring the culprits to justice. May his soul rest in Peace. Yes, we will remember our hero Engineer Semegnew who truly stood for the betterment of our country and people. May your soul rest in Peace. Today, Ethiopia lost one of her true patriotic son. Let’s make sure that his death would not be in vain. Engineer Simegn had all the qualities of a genuine patriotic leader to bring the Renaissance Dam this far. May his soul rest in peace and his family be comforted by the result of his work. I hope the government hunts down the perpetrators of such coward action. የፈተረህና ያመንህውን አምላህ እጆች ነብስህን ያሳርፍልን ! አመን !!! ይህ የ ታላኡ መሪ መለስ ዘናዊ ግድያ ለ ሁለተና ጊዚየ በ ግብሶች መገደሉን ያሳያል እና ከዚህ በሃላ ሃገሪቱ መበታተን በ ግብዘች ተላላኢዎች እየተመራች መሆነዋን ያሳያል!! I have no words how to express my deep sorrow. My heart is broken. While I call up all Ethiopians all to be Engineer SIgnenew Bekelle. I demand the removal of Abiy Ahmed. I strongly believe the PM is behind the murder. He has bombed even his own fans. The new unelected and illegal PM Abiy must removed. There is no need to tell us about investigation . Take note, this is beginning. Abiy will kill you all one by one. It is with a shocking, anger sense of sadness that I heard the untimely death of the Ethiopian hero architect of the Great Renaissance Dam a few hours ago. Next, to the untimely death of Meles Zenawi, I consider the death of respected and dedicated Engineer Simegnew as a national tragedy. It is a lost to our country. I don’t have Words to express the sense of sadness that I am expressing now. Heartbroken and angry at death itself this is all I can say for now. He was hard working, dedicated his time knowledge has was well spoken respectful and proud to give his work and make Ethiopia up. It was three years ago that I saw his work at the dam working day and night at this Hot Temperature over +40 °C when I visit the dam site and talk to this hard-working good man. He gave all he had to the realization of this huge project. He was genres, enthusiastic and everything to all Ethiopians. Unfortunately, that will not happen now. Ethiopia owes him respect and a day of national mourning. Engineer Simegnew is our national Hero! family paying the last homage to a great academician. What a tragic loss to Ethiopia! What a loss of a true hero who stood for his belief and true love of his country, unswayed by the pathetic remarks and condemnations of the venomous ‘elite’, both at home and in Diaspora, and determined to change the course of history for good and to this effect, devoting his life and engineering and leadership skills to bring about a brighter and prosperous future to Ethiopia and Ethiopians. Ethiopia has several self proclaimed ‘jegnas’ and ‘elites’ of all sorts including those who would go as far as treason, reengaging on its sovereignty and national interest, those who even enter into alliance with its enemies, lobby internationally against its interests, all for narrow and selfish political objectives. Engineer Simegnew Bekele is radically different and true to his love of his country and its people. When Ethiopia called its sons and daughters to realise its renaissance, Engineer Simegnew was one who responded with dedication and fever to the ‘Yichalal’ agenda. We owe it to him and his compatriots that we are on a journey and making progress in making our poverty and the image of ‘a weak’ Ethiopia a history. History will glorify Engineer Simegnew Bekel for his is not a empty talk of visions and missions, as opposed to that of contemporary ‘messiahs’ who shamelessly prophesise plagiarized statements of ‘love and unity’. While the Ethiopian renaissance has made it possible for the likes of Engineer Simegnew to shine in forging ahead with it with revolutionary zeal, his tragic loss does spark a critical question on whether Ethiopia is still on or off its historic course of renaissance. The circumstances of his death, the political grandstanding which willy-nilly allowed the return of treasonous elements without due process, recent negative pronouncements portraying the Hidase Dam as a political project by top politicians including the current PM who has never uttered anything positive about it and deliberately purports confusion referring to how long the building is taking (knowing full well we are building it with whatever we can master from our own meagre resources, the hostile operating environment under which it is being built and lately, the political infighting and leadership crisis debilitating the country). No doubt some form of crocodile tears will be shed by the self proclaimed ‘jegnas’, ‘elites’, ‘messiahs’ and the powers that be of Ethiopia. I trust Ethiopia and Ethiopians wouldn’t be fooled and would rise up to continue their renaissance with more determination and dedication. We owe it to Engineer Simegenew and his compatriots and the ‘Yichalal’ agenda and Ethiopia’s Hidase shall continue and thrive! Engineer Simegnew rest in peace, yours is a truly glorified history cemented in practically changing the course of history for generations to come. My condolences to your family and loved ones. It is really a very sad and heart wrenching incident. What was happening in those final hours of Engineer Semegnew Bekele in his car? What was that stupid murderer saying to our hero. What was that cold blooded killer looking for? I suspect that killer most probably was not a lone wolf. Whoever did this stupid thing they may kill a person but they cannot stop GERD. I believe, there are many more Simegnew Bekeles in Guba. My heart and thoughts go out to his family and loved ones. የኢንጂነርን ነብስ እግዚአብሔር ይማርልን። ኢትዮጵያ አብባ በልጽጋ ለዘላዓልም ትኑር! ሀገራችንን እግዚአብሔር አምላክ አብዝቶ ይባርካት! You are naive. This is well planned by Egypt. People like you are in deep in sleep man. Cowards may kill persons but they won’t kill their great aspiration because there are millions behind that aspiration. GERD is real! No one can stop it under the sun! I suspect those criminals who were trying to escape with $10 million are taking a revenge. RIP and you are always remember and you have done your part in this plane to help humanity to scape repression and humility. 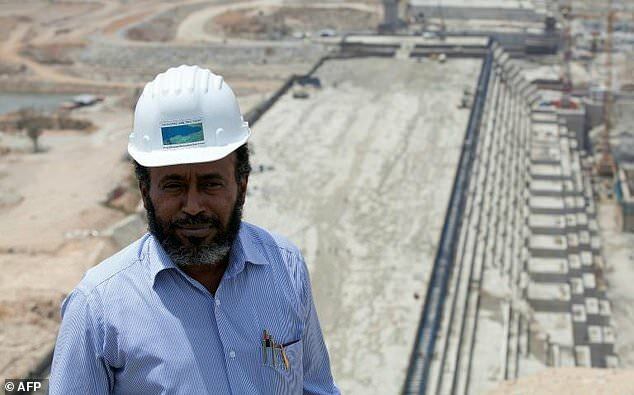 My Condolences to All Peace loving Ethiopians, family and friends of Simegnew Bekele, Engineer and project manager of the Grand Ethiopian Renaissance Dam (GERD). Your name will live for ever and we Ethiopians and your families are very proud on what you have done. You will be watching the completion of the Grand Renaissance Dam from high above and BE PROUD. I am deeply sad to hear untimly death of our Enginneer our hero. RIP our hero! Let the GERD FINSIH NOW! With out any delay to make the Arabs. There no other vengeance than to complete the construction sooner than anticipated. I think that’s how the country should avenge the assasination of one her finest son…. certainly not 10 years! That’s a bad addition. Engineer Simegnew you were a dove of hope and love. You showed us to love Ethiopia is to work for Ethiopia humbly and honorably. You are the architect and foundation of our new icon of Ethiopia the GERD. It is so sad hearing you are gone. May God rest your soul. Condolence to your beloved family, friends and all Ethiopia. Our hero Ethiopian son, never ever forget you Ethiopia .Ethiopia had lost her best son. No words can describe for our hero Simegnew lose , this is heaviest grief for his family and for all Ethiopians . May God put your soul in peace at heaven. I can’t express in words how a great loss is the passing of engineer Simegnew Bekele for all of us Ethiopians. Fellows, we both Ethiopians and Eritreans lost a great human being. I have been following the progress of the GERD and I cannot emphasize enough his dedication and professionalism. He was a hands on leader, always working hard in difficult working environment. Sometimes, I think we are cursed people. Why some one thought to kill this person. Sad. RIP engineer. Your work will carry on…. Rumour has it that Abiy has promised Egypt he will slowdown the work of GRED. The Enginer was called and ordered to fulfill that promise. He was killed when he refused to do so. I hope this is just rumour. Rumor has it that Abiy has promised Egypt he will slowdown the work of GRED. The Engineer was called and ordered to fulfill that promise. He was killed when he refused to do so. I hope this is just rumor. This is a fact . He was assassinated in broad day light. In his speech the new PM said to the Egyptian President that he is not only going to share the water from Abay but he is going to deliver it to Egypt . He fulfilled his promise by assassinating one of the HERO’s of our Ethiopia. Sad really a sad day. All fingers must point at Abiy. Not long ago he insulted 100 million Ethiopians saying the GERD is a political ploy and can’t be finished even I after the coming ten years. If this is not treason, what is? What is the EPRDF leadership doing? Did he poison them with some metet? Why is that guy called Debretsion failing to perform even 1% of what he is supposed to do as TPLF chairman? Of course I blame not just him but also those who destabilized TPLF by bringing this numb and dumb guy to the fore. Aboy Sibhat, Abay and Seyum tehadiso gele mele endabelu wudibna adakimoma. Getachew Asefa betinuna, maska weleselassse, hizibbna arekisu arsu keman awaridu. I know AIGA forum will not allow my post but at lease they will read it and pass it to their master, anyone who has power today. It is a very sad day for Ethiopia to lose with such tragedy such an industrious and honest man who has national symbolic significance for what he has been achieving. May God rest his sole in peace! My deep condolences to his family and the Ethiopian people at large! My dear father we Ethiopians we have big big big……………. respect what you have done for our country all ways you are on our hearts some people they think if they killed you they destroyed your history but not! You are in the first place before everyone in Ethiopia.my God be with you in haven ,from your little Son Hailemariam. This is very sad news for Ethiopia, there is no word to express how I feel and the Ethiopians feel, I am sad, angry and confused as to what is happening in Ethiopia.Can anyone stop this momentum to take Ethiopia to the dark days of yesterday? if there is one what are they waiting ? I feel Meles Zenawi Died a second Death. May god bless his family and may you rest in peace Engineer Semegnew. My hero , Rest In Peace . Sad day for all Ethiopians . I am very saddened by the incident ! The same feeling I used to feel during the passing of our late prime minister ! My condolences are to his family and all Ethiopians all together. I don’t know much about the good engineer; however, according to logic mathematics, i can imagine where the smoking gun is coming from when especially he’s being described by most of the commentators as selfless, patriot and hero. These powerful words are the enemy of opportunists, corrupts and crooks. As the saying goes “a picture is worth of thousands of words”. R.I.P! RIP.The GERD by no means will be completed by the commitment of Ethiopian People and we will erect a statue of yours that will be there for ever in history. We also need Justice to be made for the killers!!! At last we Ethiopians lost our dignity, wisdom and courage. Knowingly or unknowingly we are becoming a pupate of Arabs. What I fear is we are going to a mess on which any body can kill anybody without any clue. Engineer Simegnew is Our all time hero. We lost our Hero but if this situation ends at this point, we all Ethiopians are lucky enough and I am sure we will finish as we started GERD, but If we give FBI and CIA to do our assignments, many bad things to happen in no time. Abiy Ahmed Ali, the arab & shaebia stooge is directly or/and indirectly responsible for killing of Engineer Simegnew Bekele by allowing terrorists, criminals and enemies into Ethiopian society. Abiy Ahmed created lawlessness in Ethiopia. My God receive the soul of Engineer Simegnew Bekele. My condolences to his family and to all peace loving Ethiopians. This is the saddest day in my life .No words to tell about this heart breaking tragedy. This is not only attacking of one person it is attacking of Ethiopia as a nation . Any how RIP our hero. You worked tirelessly day and night until the last minute to bring Ethiopia out of poverty. May God Rest Your Souls In Peace. May God give strength and comfort your loved ones. Dear Engineer Simegnew, I am saddened to hear of your loss. My thoughts and prayers are with you. You are African hero, we will missed you. Your name will be remember always in all Ethiopian heart. We going to complete our Abay dam no one can stopped us. Ethiopia lost a hero , RI.P. May god give the strength to his family. I wrote this piece to extend my condolence to the the families and relatives of The Renown, patriot and humble Engineer Semegnew Bekele, GM of The Grand Renssiance Dam who passed yesterday suddenly. for me; It was really shocking news equals to a death of my own family. Eng. Semegnew was an icon and a symbol of the national project, GERD and Ethiopiawinet was real and genuine when it was told by him because he lived the real Ethiopiawint by did not by word like others. he was my favourite proffessional who teach me what a real proffessionalism means through his words and dids. May God Rest your soul in peace and join your real friend, the architect of GERD, former PM H.E Meles Zenawi. ህዝበ ኢትዮጵያ እግዚአብሄር ያጥናን ። እኽፉፉፉፉ…………. “We will work to increase this [Egypt’s water] quota and President Sisi and I will work on this…. Welahi, we will never harm you”. Abiy Ahmed, addressing Egyptians in Cairo, June 10, 2018. Abiy Ahmed is showing remarkable progress to meet the short-term objectives of Egypt and UAE. In his meeting with teachers on 23rd June, Abiy indicated that the construction of the dam may not be completed in ten years. Time will tell what further actions Abiy will take to delay the construction of the dam. My deepest sympathies go out to the families of Engineer Semegnew and all Ethiopians on this tragic event. You are The Man who served our country with a role and commitment of the highest magnitude. You are still alive in our Hearts, Minds and Spirit living through each one of us. Because Great Men never die but continue to live on their legacy. You are symbol of our Renaissance, mark of radiating colors and icon of dedication. May you take comfort knowing that you have Millions to watch through the end of time what you accomplished with the GERD. Leaving all my personal speculation aside that he night have been assasinated or committed suicide or was a victim of a robbery gone awry, I want to send in the spirit of engineers brotherhood my thoughts and sympathy to his loved ones. I am now saying this grand project has claimed its first officially documented victim. There could have been other victims who have lost their lives at the job site that we, due to the blackout of such news, were not told. In any case, this is very sad news indeed. May He Rest In Peace!!!! Can you share your condolence here and keep your personal view on issues and in general about who did what to whom to yourself? If you respect Engineer Semegnew keep his condolence page clean. Pls! Engineer semegne Bekele was Nice Polite, smart in person, Additional on that, He loves by his co-worker, visitor, include Almost by All Ethiopians & a proud of Africa, who support the dam to finish (bought bonds) EXCEPT THOSE AGAINST POISENS DIASPORA, LIKE BERHANU-TAMAGNE-MESAY (SHABIA-MOTMATA), ALMARIAM-Z-FAKE-PROFESSOR-EPRP, THERE SOME TO NAME,etc…we should GET Anseer from the current leaders, who try on top talk sweet but DOING REPEATEDLY WRONG, serving areb-ejypt, lema and gedu are behind it, abiye (FISHKAW) KNEW, ITS CALCULATED, REMOVE ENGINEAR AZEB ASNAKE, BEFOR HE DEPART U.S, WHO WOULD BE NEXT, KASA TEKLEBRHAN, Z ETHIO. ORTHODOX PATRIARCH, ETHIOPIAN AIRLINES CEO, AND OTHERS, SAD. WE ETHIOPIAN NEED AN ANSWER SOONER IS Z BETTER, STAND TOGETHER…PEACE!!! Inscribe Engineer Simegnew Bekele Name to Martyr’s Memorial Monument in Mekelle. He is one of us. He has sacrificed his life for the very same reason as those who gave their life during armed struggle. To see great Ethiopia. No words will explain the deep sorrow felt on the murder of an Ethiopian HERO who sacrificed his life for a better Ethiopia. His daily words of courage were jumping boards for our youth and must always remain alive. Definitely, there are thousands of Simegnews who will continue to fulfill our dreams. RIP – Eng. Simegmew and your killers (direct or indirect) shall pay the price ASAP. RIP my brother!! I was an admirer of this amazing man since the Renaissance Dam started, I loved his positive energy and his focus on the real issue of our country and the rest of Africa POVERTY. I loved the way he talked and his ability to capture people attention by his infectious positivity and “Yes We Can” attitude. Ethiopia has lost an icon with clear vision and care for people. For those who are accusing, Weyane I say wake up. The Weyane/EPRDF government started this enormous project because they believed in him. Let alone hurt him they would have taken a bullet for him. Whether you like it or not the Renaissance Dam Started by EPRDF with the slogan “For Ethiopians by Ethiopians” and that is the FACT. May God bless his soul!! 3. There are so many questions the Ethiopian government of Abiy Ahmed need to answer. I am truly saddened to hear about the death of Engineer Simegnew – me and my children were lucky enough to meet him just once. Simegnew instantly struck me as polite, eloquent and extremely intelligent and speaking with him was a complete pleasure. The construction of the dam is emblematic in many ways of the regeneration of Ethiopia and under Engineer Simegnew it was in very good hands. Upon meeting him what struck me and my family more than anything was his sheer commitment to the GERD and its importance for his country. He truly believed in the project and in elevating his country. Although we only spent a day with him, it seemed clear to me that Mr Bekele was a man of substance who believed whole-heartedly in his work and nation. Engineer Simegnew was and shall remain a true Ethiopian National Hero, a diligent individual, a true visionary – we thank him and are grateful for all he contributed for his country.